I used to love coronation chicken, but never put too much thought about what went into it, it was just yummy and a great sandwich filler. Fast forward to me looking up how to make it one day and I was shocked – chicken, yogurt, spices and raisins, I mean who on earth came up with that? It’s like the world’s most random combination, but somehow it just seems to work. Also, as it was created for the Queen’s coronation banquet in 1953 it must have been an even crazier concoction back then, as in post-WWII England I don’t think many people were busy cooking with curry powder. How times have changed hey? These days coronation chicken is up there happily sitting next to chicken and sweetcorn and egg mayo in the sandwich filler shelf of the supermarket (yuk), and I don’t think it has any plans to go anywhere anytime soon. Personally I love the mixture of spice and creamy yogurt and for me it’s even better when there’s some juicy raisins and crunchy celery thrown in too – so many amazing taste sensations and textures! But I’m not big on chicken, or yogurt, so I’ve done a little recipe testing and I’m really head over heels in love with the result. 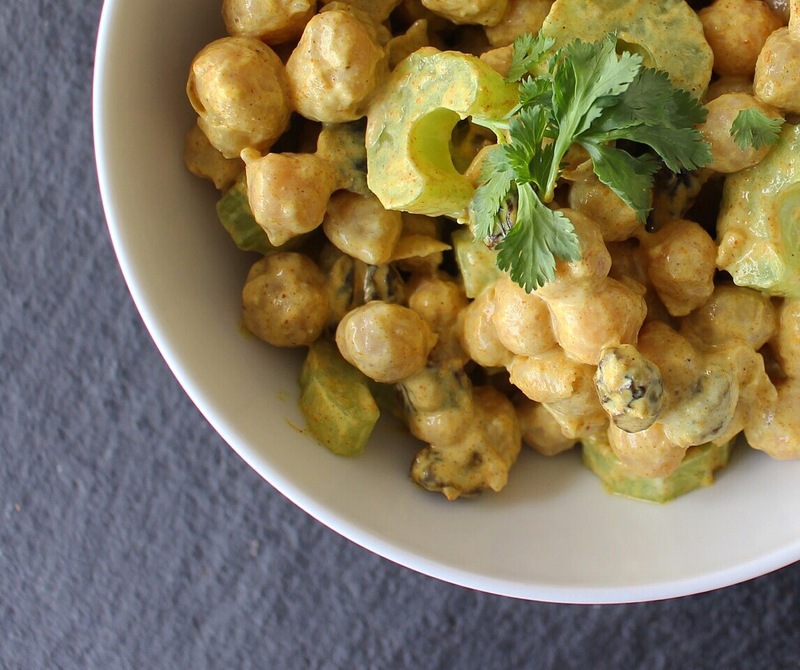 My coronation chickpeas are just a syllable away from the original; I used chickpeas because of their gorgeously soft consistency and also because they’re a great source of protein. Plus they seem to complement the flavours of the sauce really really well. This dish is delicious as a sandwich filler (I love it on rye bread) or just as a salad with some lettuce and whatever other bits and bobs you have in the fridge. It’s also a great dish for summer picnics and BBQs – it went down a treat when it made its debut at a family party recently (not quite the Queen’s coronation banquet but jolly good fun nonetheless). 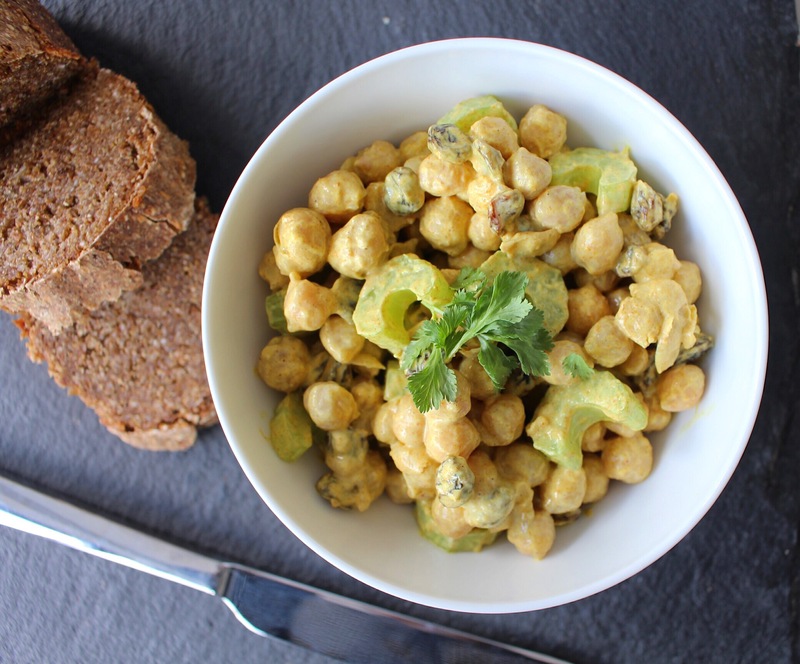 Simply pop the ingredients in a bowl and mix well – that’s it! Serve as a salad or in sandwiches for the most delicious lunch, fit for a queen!